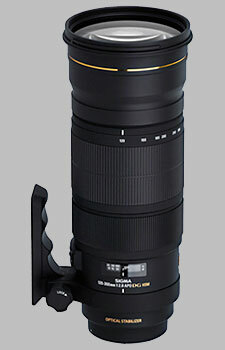 (From Sigma lens literature) The Sigma Corporation is pleased to announce the new Sigma APO 120-300mm F2.8 EX DG OS HSM. The successor to the APO 120-300mm F2.8 EX DG HSM, introduced to market in July 2005, this new lens offers the latest optical design technology. This large aperture zoom lens features Sigma’s OS (Optical Stabilizer) function and weather-resistant design throughout for use in harsh conditions. One SLD and Two FLD glass elements are used for maximum correction of chromatic aberrations. The super multi-layer lens coating reduces flare and ghosting, and the lens design incorporates an inner focusing and inner zooming system to ensure sharp images throughout the entire zoom range. Improved optical performance provides excellent correction of sagittal coma flare, and ensures ultra-high resolution, comparable to a fixed focal length lens. The OS function offers the use of shutter speeds approximately 4 stops slower than would otherwise be possible. This system enables hand held tele-photography. Incorporation of HSM (Hyper Sonic Motor) ensures quiet and high speed AF, while allowing full-time manual focus override. The rounded 9 blade diaphragm creates an attractive blur to the out of focus areas of the image. The addition of the optional APO TELE CONVERTER produces an ultra telephoto zoom lens with AF. I was able to pick up cheap from a friend of mine, very sharp very happy with the use of it, and I've done some research about this lens. This lens has the same optic and MTF curve as the newer Sport version, it's a bargain performer consider what I have paid for. Heavy. Inconsistent AF wich requires micradjustment. Contrast a bit weak. Bought this lens after long consideration and after testing a used non OS version. Very pleasent surprise after testing on birds and wildlife. Have a supersharp Canon 100-400 but need more reach and better F plus full AF which is imposible witch Canon and a TC (unless you go for 1D). It possible to reach 600 mm and with my 7D it equals 960 mm. With the very good 3 step OS and full AF i have managed BIF shots impossible with the Canonlens. It is heavy, 3 kg so i prefer my Canon 100-400 when mobile. When i want bokeh and supersharp photos i use my Sigma. Due to better OS and 2.8 you have a 3-4 steps advantage over the Canonlens. All in all higly recommended for people who wants a versatile lens ( 120-300 F2,8 or 160-420 F 4,0). You get very good pics even with 600 mm F 9,0. I purchase this lens in july 2011. It's an amazing zoom near equivalent to the Nikon 300mm 2.8 vr. It is a very performant lens and more versatile than a fix for a price very competitive.